Let me just say, I’m excited about this next freelance writer and blogger. Lorraine Reguly is the first freelance writer I have met IRL, and it was by complete surprise. I had stumbled on her blog when I first started freelance writing and noticed her free eBook on blogging. Since I was new to the world of blogging, I thought this would be a good guide for me. Well, after signing up and getting confirmation, I briefly scanned the address and I almost choked on my water! She lives in the same city as I do! This is quite unbelievable because I don’t live in a big metropolitan city. It’s a small “out-doorsy” type city with more deer than people. Right then and there I tweeted Lorraine and said it was nice seeing another freelance writer in town. We decided to meet and I can’t say enough good things about her! She’s chatty, friendly and knows a lot about blogging! We plan on meeting more regularly to encourage each other. Do you want me to shock you or impress you? I can do both! The shocking stuff? I have a colorful past. I was raped when I was a fourteen-year-old virgin and ended up quitting high school, doing drugs and prostituting myself. I’ve also suffered from depression, devastation, and a poor self-image. The impressive stuff? I became a single mom at the age of eighteen, went back to school, and graduated with honors, scholarships, and even a medal. I then attended university for five years, and earned two degrees: a Bachelor of Arts and a Bachelor of Education. I taught high school Mathematics and English for three-and-a-half years. I’m still a certified teacher. My life is much different now; I’m the owner of Wording Well (my business site) and I now also blog on Lorraine Reguly: Laying It Out There. I’ve always enjoyed writing, and so it simply made sense to get paid for it! I find writing cathartic, too, and have written many short stories, poems, and letters over the years. I’ve compiled some of my short stories — along with an inspirational poem — into a book, Risky Issues, which I self-published in 2014. I’m currently working on another compilation — Letters to Julian — a collection of letters I’ve written to my son over the years, as well as an autobiography. My family has been supportive throughout my writing journey, both personal and professional. When my grandparents were alive, my maternal grandfather and my paternal grandmother always encouraged me to “do something with your writing.” I’m sure they are both looking down upon me now with pride. As for my living relatives, they’re happy that I’m now doing something I love. Plus, now that Wording Well is an official business and not merely a hobby, I think I’ve gained a new found respect from them. My father was really impressed with Risky Issues (both with the stories themselves as well as the fact that I was able to publish it on my own), and is thrilled that I’m earning money through my business, from both writing and editing. My mom and son are proud of me, too. How long have you been a freelance writer? I’ve been freelancing and earning money from freelancing since November 2013. Freedoms? That’s easy! Freelancers can work whenever they want, charge by the hour or by the project, save money by not having to commute, and work in their jammies! Limitations? Hmm. That a bit tougher. I think some possible limitations might include the fact that work is not always steady and some months might be less prosperous than others. I know that some freelancers struggle with the English language, especially if English is not their native tongue. I’ve actually not had any challenges that I can recall, which is good! The fact that I’ve not had to prospect much can be considered a win, as most of my clients sought me out. I actually landed my first client accidentally, if you can believe that! What happened was this: I had written a blog post that I thought would be a good guest post, but as I kept adding to an improving it, another blogger suggested that I turn it into an ebook, partner with him, and sell it on his site. At the time, I didn’t know how to handle all the technical aspects of selling it on my own site, so I agreed, and 20 Blog Post Must-Haves was born. We sold it on his site until I decided to use it as an enticement to build my email list. Now I give it away freely to anyone who wants it! I was the first person to ever have a guest post on his site, too. Because of my strong writing skills and the relationship we had developed with one another, he invited me to be a monthly contributor, his editor, and his social media manager. Essentially, I was hired to perform three different jobs for him each month. I worked for him for about 15 months, under contract, until I resigned last month. I can only list three? Okay. I’ll alter my answer so that I can include a lot of information. Truthfully, I’ve been lucky so far in that I’ve had clients out my services! Testimonials from past clients have helped with this as word-of-mouth marketing is one of the best types of marketing there is! I’ve actually just added a few new items to my list of available services: blog coaching, website consultation, and one-on-one mentoring. I plan on obtaining clients in each of these areas. 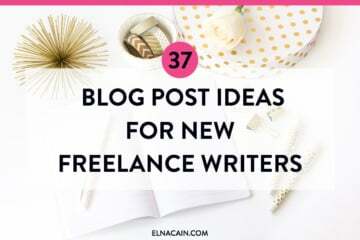 What Advice Does Lorraine Give New Freelance Writers? Make sure that you have the time and energy to devote to this career, and the ability to work well with others as well as independently. First of all, I want to thank Elna for giving Wording Well and my books some more exposure. You can never market your brand or your products enough! Secondly, I would like to mention that Risky Issues is not your typical book of short stories; instead, it brings to light many issues faced by children, teenagers, and even adults: identity, drugs, abuse, death and friendship. Risky Issues is available as an eBook and as a print book. Thirdly, for anyone needing assistance with blog coaching or website consultation, or who is need of some one-on-one mentoring, feel free to contact me for help! I can be reached via a variety of different methods (all listed on my Contact page), so pick your favorite, and contact me! Great to see Lorraine spotlighted here and rightly so as she is very talented! She’s always sharing her useful freelancing tips with us and has overcome so much… Great spotlight on Lorraine on your very nice site here! Great interview! Lorraine, I’m sorry for your struggles, but so impressed with how you’ve turned it around and are doing something your love and are passionate about. Maybe you two should trek down to MN and we can all 3 meet in person someday:-) Or plan a big ol’ blog conference meet up sometime in the next year or two? It would be great if we all could meet! But, I’m afraid I’m tied down here for a while, but next year or later sounds good! Maybe by that time, there will be more freelance writers in our respective areas that would like to join.